No better way to close the week than with some 8-bit renditions of hits by suddenly deceased, long troubled pop legend Michael Jackson, who passed away on Thursday at the age of 50. There’s a handful of such covers floating around, and no doubt more will surface in the coming weeks and months. 8bit versions turn anything into a video game, which is to say, in the case of a dead public figure like Michael Jackson, they turn the subject into a video-game character. Songs like ShnabubulaEX‘s blippy little take on “Man in the Mirror” (MP3, at 8bdaily.blogspot.com) render the legend in pixelated amber. That same blog page links to an 8-bit “Billie Jean” version, by 486, that layers Jackson’s a cappella over a brittle little video-game rendition of the instrumental track (MP3, at 8bitcollective.com). The contrast between Jackson’s hyper-articulated singing and the antiseptic funk of the backing music is striking, and despite the potential for irony, pretty darn effective. Last week’s Beat Battle at stonesthrow.com/messageboard yielded a victory for a newcomer to the ongoing audio-mixing throwdowns. The participant named biz20 had only joined the boards on June 17, a few days after the battle began. Nonetheless, his slurry, loping entry won best in class. Perhaps he got extra credit for having done what so few other beatmakers do, especially in contests such as this one, which is that he crafted an opening and a close to the track: it begins like a piece of vinyl slowly being brought up to speed, and ends (in a mirroring moment) as if someone had yanked the plug from his turntable. Streaming audio and direct-download MP3 links aren’t functioning, but you can check out the original sample and over four dozen entries, including biz20’s, at drop.io/stmbbattle120; the initial discussion at stonesthrow.com; and the final votes at stonesthrow.com. Over at artsjournal.com/gap, which is the blog of Molly Sheridan, a bunch of us are discussing the book The Invisible Dragon: Essays on Beauty by Dave Hickey (the recent “revised and expanded” edition). We’d previously discussed Lawrence Lessig‘s Remix: Making Art and Commerce Thrive in the Hybrid Economy. Though we’re reading in book-group mode, the blog-hosted discussion is open to the public, so do feel to drop by. 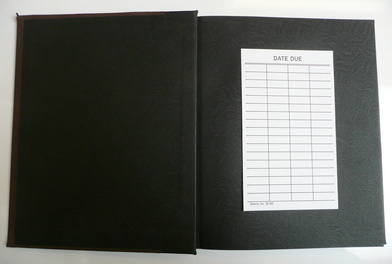 I obtained my copy of Invisible Dragon via inter-library loan. After reading it, I realized that the library it had come from was the University of Nevada Las Vegas, which is where Hickey is a professor in the English department. Hickey’s book is focused on the visual arts, but it’s written largely through a literary-critical perspective, and one of the things we’re discussing is whether its thesis — roughly speaking, that “beauty” is not enough a subject of discussion in arts criticism — has a counterpart in music. The conversation began on Monday, June 22, and concludes on Friday, June 26. The group Soft Cell is best remembered for its languorous, metronomic pop, a precursor not only to minimal techno, but more broadly to the giddily presumptuous nonchalance that infuses much of the Internet’s amateur musicianship. There was always something in the musical rudimentaries of Soft Cell songs that suggested a flouting of traditional pop categories of quality — like, say, instrumental facility. Holzkopf opens its Credit Card Ache, a short album of hard noise, with a cover (MP3) of Soft Cell’s “Memorabilia.” The new rendition’s saw-tooth beats and static-heavy atmosphere bury the original’s lyrics — and so, even if you can’t quite make them out, someone presumably isn’t just singing, but also took to heart, its closing lines: “Go turn the beat around, got to hear percussion, turn it upside down.” Turning things upside down is Holzkopf’s modus operandi. Just check out “OK Times,” a broiling of beats if ever there were one (MP3); the song turns the beat around by showing, as did Alec Empire and so many other early chaos-friendly industrialists, that computerized rhythm and randomness aren’t incompatible — or, more to the point, that their seeming incompatibilities are the very source of the magic that occurs when they are combined. Some of the best remixes are incidental, accidental, chance. Think of the way a favorite song sounds on an unfamiliar stereo system. Or when a specific moment of a CD (an ever so brief segment) chooses to go, anarchically, into manic loop mode on a restaurant’s creaky stereo system. Or how inadequate radio reception can transform an innocuous pop hit into something clandestine. 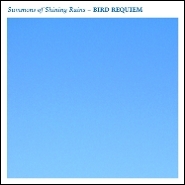 All of the seven pieces that comprise Bird Requiem, by Summons of Shining Ruins (aka Shinobu Nemoto), are heavily distorted melodies, heard through numerous filters and decaying techniques that render the original as some rough-hewn, world-weary document. Case in point the garbled, shaky thing that is “Utan” (MP3), which has the same sort of sense of sonic withdrawal that informed Gavin Bryars’s Jesus’s Blood, the half-conscious jitters of a soul going through rapid, unsolicited detox. 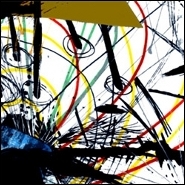 Get the full set at netlabel restingbell.net, for which this is the 60th release.